The WaveRoller LEGO model was featured at the tenth Pii Poo LEGO building event held 22.-23.9.2018 at the Helsinki Messukeskus. The 0,5m x 0,5m LEGO model of the WaveRoller was a part of the Pii Poo LEGO building event, where kids and adults alike were able to both build their own creations and marvel the impressive works of LEGO art present at the event. The WaveRoller model was one of the pieces featured in the exhibition now for the second year in a row. Since the motivation driving the entire Team WaveRoller is to solve the impending crisis of climate change to ensure a sustainable future for the next generation, it makes perfect sense for us to bring WaveRoller where we can truly engage and include the young minds that might perhaps come up with a new wave of solutions to support the vital cause. After all, one first has to imagine the change for it to become reality. 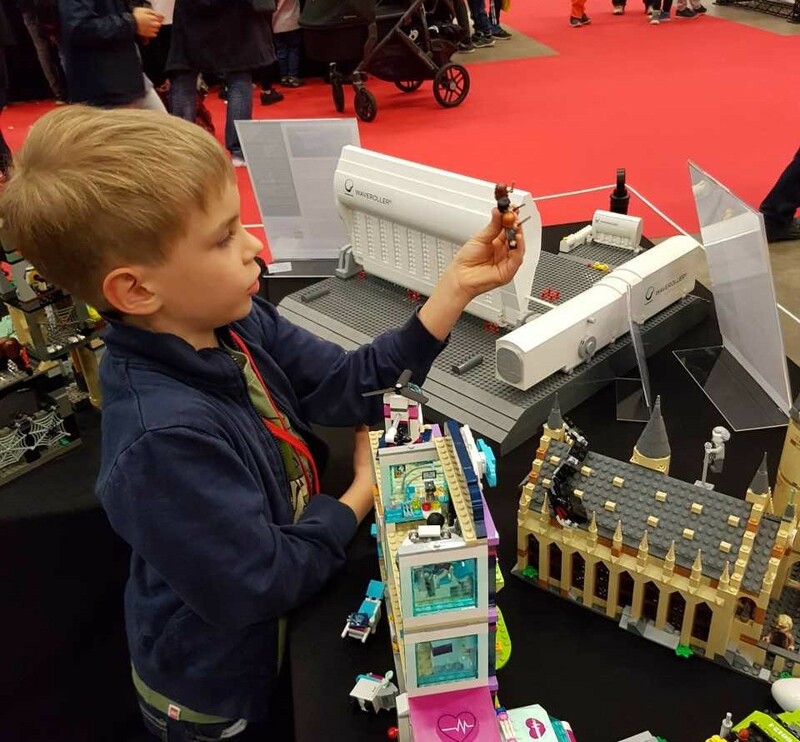 The almost limitless possibilities of LEGO blocks are key in inspiring innovation, something which comes effortlessly to kids but often takes some tuning into as adults. As the visitors at the event had the possibility to take part in building the biggest LEGO city constructed in Finland, at best it might have piqued an interest in how societies and infrastructures work. Who knows how many seeds of ground-breaking inventions set to save the planet one city at a time started growing in the fertile grey matter of minds not yet limited by ‘don’ts’ and ‘can’ts’! One Team WaveRoller member to participate in the event was our Head of Finance Matthew Pech, who rolled up his sleeves and dug deep into the piles of blocks waiting to find their form. – The event was great and keeps getting bigger every year. The range of different models and complexity of constructions was amazing to see, and the kids had wide eyes the whole time. The WaveRoller model attracted a lot of attention as people got to learn about this new form of renewable energy being developed right here in Finland.